Soapmaker's wishlist for Christmas - what to buy your beloved one! 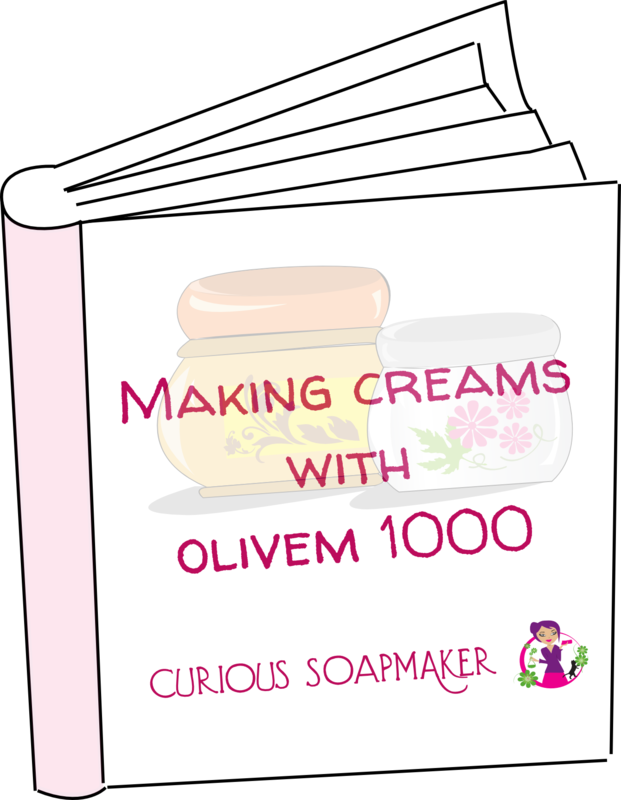 « How to make resistant soap, or hard doesn’t mean resistant! Dear friends, lovers and family members of the soapmakers! You know, having this exciting soapmaking hobby indeed becomes very expensive at one point. All of us dream of many ingredients or tools that we just cannot afford all year long (or there is just not enough time to buy them). Christmas or birthday time is perfect for suggesting you that we wish them as gifts, but.. you know, it takes out that magic of receiving something unexpected! Now, here is a few items which I believe your beloved soapmaker might appreciate very much… And I will give you hints on how to choose them too! PS: I am not paid or compensated in any way for the links provided – except for my participation in the Amazon affiliate program. I honestly give you resources I know and believe are of good quality! The ultimate letter stamp set!!! (with some micas as bonus) Beginners and advanced - both like to stamp! This is the perfect tool to personalize our soaps and generally, it is very difficult to find. Buy plastic or rubber letter stamp sets. You can either use one of the links on the right or search for "cookie stamps" and "printing sets". - not be too large (soaps are small...) - sometimes those sold for cake decoration are too huge. And FINALLY - to make it more fun and professional, buy some micas - these are colorants that are pearly and perfect for use when stamping soap! Gold and silver ones are ALWAYS a good choice, since they go well with any most soap colors! ... and this one (click on image to buy)- which is better in some cases, since it has plenty of other characters apart letters, so you can personalize very well. It works very well with soaps! I strongly recommend to buy full set - mould and separators, since if you only buy separators, they might not fit the moulds your beloved one already has and that is frustrating, too! Or you can indeed measure the moulds and check if they would fit. Do not mistake with mould with bar soap separators (gift number 5 below). 1. Your soapmaker might have a plastic mould and would wish to have exactly the same, but in silicone, because it is easier to handle. With this set, he can convert it,like this for instance. 2. 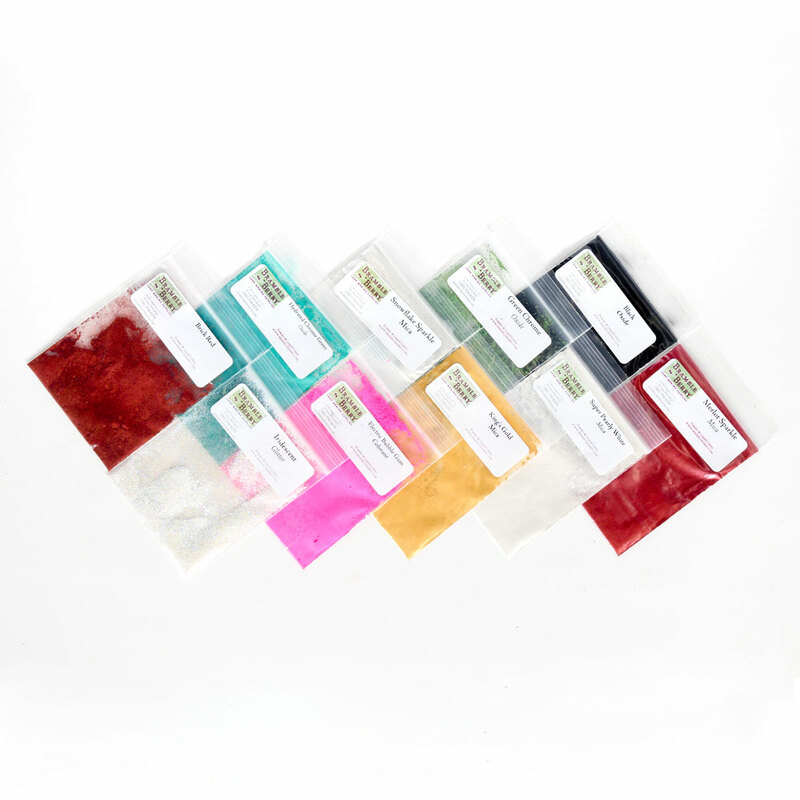 This kit allows for multiplication of one small mould your soapmaker has! 3. You can make any type of mould or mould lining with it! 3. It should be pourable, so that it is easy to manipulate and catch details. And of course -please, buy with this kit also some harder plaster powder so that your soapmaker has something to create cast first! The best is the powder ceramic one that can be mixed with water and poured and that dries quick and remains hard. A mould releaser is a good addition too! I absolutely love the most the OOMOO kit (click on image to see the price and buy). ... or just go to your local craft store, they will definitely have some! (with bar separators for more advanced soapmakers) Beginner and advanced Is your beloved one still making soaps into a cardboard box, or whatever she/he finds at home? Be the one who makes that update into higher level! 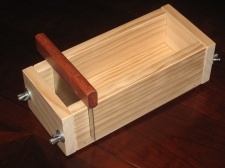 A wooden soap mould is just what your soapmaker needs. 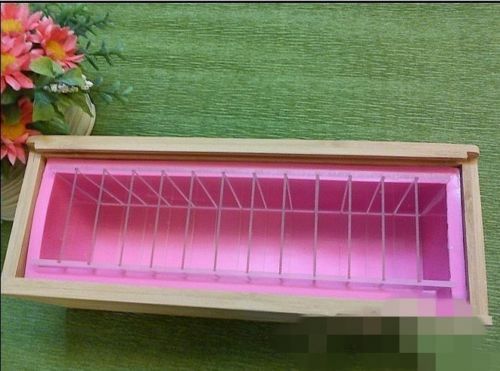 There are tray wooden moulds and loaf wooden moulds. If you consider to buy the tray mould, you might want to buy it with soap bar separators. It really makes it easier for us to cut that huge block! The good news is, you don't have to buy the wooden mould, you can make it! There are many tutorials, you might start here . Don't forget to add something to line the mould with - the best is some silicone or plastic liner. However, these are impossible to make, the easiest is to buy silicone or plastic mold and make the wooden part around it! And don't forget the lid! You can also just take the mould your soapmaker already has and recreate the same. It is always good to have multiple molds of the same size! 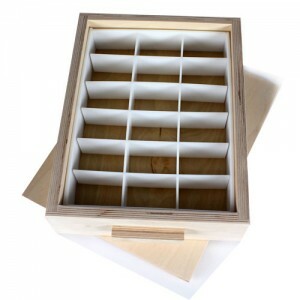 Beware of buying acrylic moulds (the dividers can be acrylic) - not every soapmaker likes them! 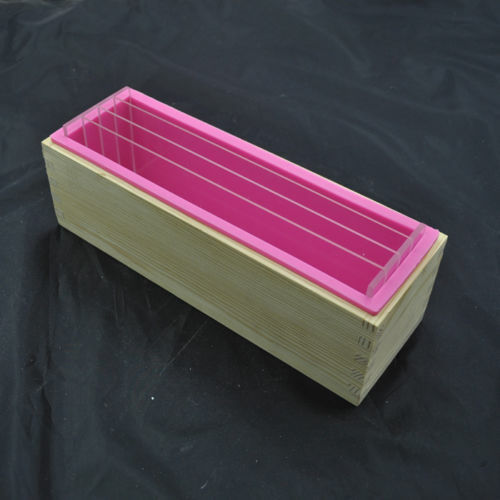 Soap making resource - log mould with soap cutter! Essential oils and natural colorants suitable for cold process soapmaking! 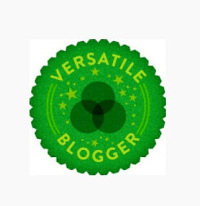 Beginners and advanced Yes, a soapmaker has NEVER ENOUGH essential oils and colorants! Do not mistake with fragrance oils, and do not buy fragrance oils for aroma lamps - these are not suitable for soap!! For the colorants - there are TWO types of natural colorants - those which are stable at alkaline pH and those that are not. In order to not to make mistake, I recommend to buy colorants from specialized soapmaker shops. I would like to point out, that from natural colorants, the only BLUE that is stable is either ultramarine oxide or indigo. You will make your soapmaker happy with both of them, since blue is so difficult to make with anything else. Generally mineral oxides are a good choice! DO NOT BUY COLORANTS FOR MELT AND POUR SOAP! - they are most probably unstable in alkaline soap! You can buy essential oils at the same sellers. Aim for larger packaging, if you can, since these are definitely less expensive! - possibility to set up alert if the temperature is lower/higher than certain threshold! If it has a magnet so that we can fix the thermometer from falling into our hot soap or oils or lye, is really a plus! The faster it reads the temperatures, the better. DO NOT BUY THIS TYPE, it is not practical - we need to let it in for a while and it can fall into the pot!!! The crock pot... (slow cooker) Advanced At one point you might have seen that your beloved soapmaker is making strange attempts to cook soap and maybe even make liquid or transparent soap! There is nothing worst than making this in double boiler! Or maybe she/he is even using your favourite crock-pot you use for cooking!!! If you believe they might like this kind of soapmaking (you definitely heard the expression "hot process"), then it is the time for you to give them a crockpot! You really do not have to buy something fancy... the most important is the switch, which should have at least 2 positions - low and high. ... well , this one is easy, since you can buy it anywhere! Column embed moulds Beginner and advanced These are just perfect for making soap inserts. Wavy soap cutter Beginner and advanced Such a simple thing can make us so much pleasure! One bar (3D or not) silicone moulds Beginner and advanced ANY soap mould will make us pleasure, really! Even if we already have it, since - you know, we want to make more soaps of the same kind! If you buy "one bar" silicone moulds, there is one rule - the softer the silicone is, the better - this applies mainly for more complex and 3D moulds. This entry was posted by evik on December 11, 2015 at 20:37, and is filed under soapmaking. Follow any responses to this post through RSS 2.0.You can leave a response or trackback from your own site.